A bicyclist escaped with only minor injuries after being involved in a collision with a North County Transit District train in Oceanside Saturday. 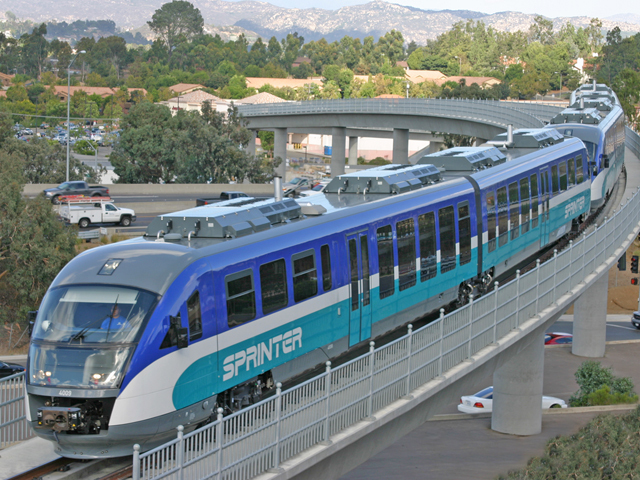 Just after 12:30 p.m., San Diego County Sheriff’s deputies headed to section of tracks intersecting South Coast Highway south of Oceanside Boulevard after receiving word of a Sprinter train that struck a bicyclist, sheriff’s Deputy Cristopher Campbell said. A westbound Sprinter train was approaching the intersection at 25 mph when a bicyclist riding northbound on South Coast Highway rode around the rail crossing gate and onto the tracks, Campbell said. 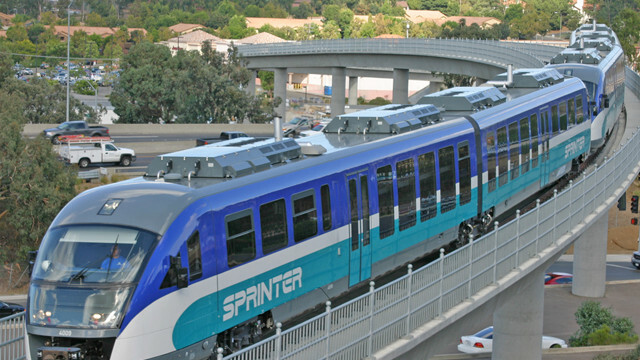 The Sprinter train operated sounded the train’s horn and tried to brake, but wasn’t able to stop in time. The bicyclist, however, wasn’t seriously injured and declined medical treatment, Campbell said.